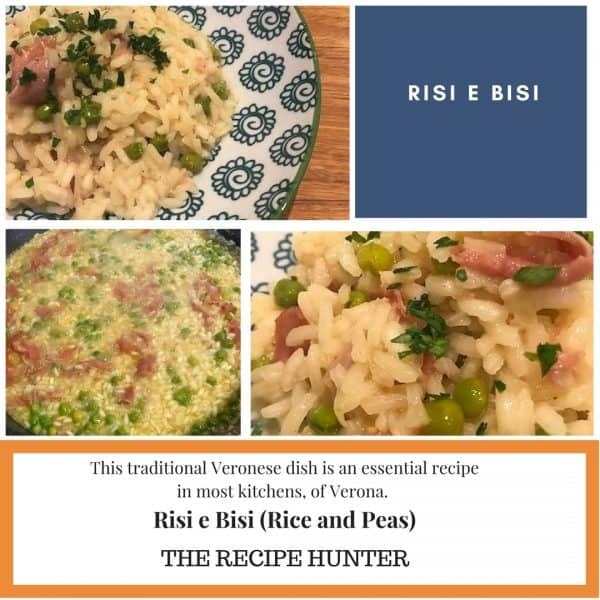 This traditional Veronese dish is an essential recipe in most kitchens, of Verona. Prepared like a risotto, the consistency should be a bit soupier! Fill a pan with 1.5 liters water and place pods in the water. Bring to the boil, then simmer for 40-60 minutes, or until reduced by about half. Strain and discard the pods. Add the pea liquid to the stock and return to a simmer. Using a heavy based saucepan, melt half the butter with the oil, add the onion and cook until the onion softens. Add the pancetta or bacon if using and cook for another five minutes. Add the rice and cook until all the grains are well coated with butter and oil and begin to look translucent. Add a cup of stock. Keep stirring as cooking, adding stock as needed until you reach a soupy consistency (you may not need all the stock). Add the peas halfway through. Once the dish is ready, stir in the cheese and remaining butter, cover and leave to sit for five minutes. Season to taste and top with chopped parsley.